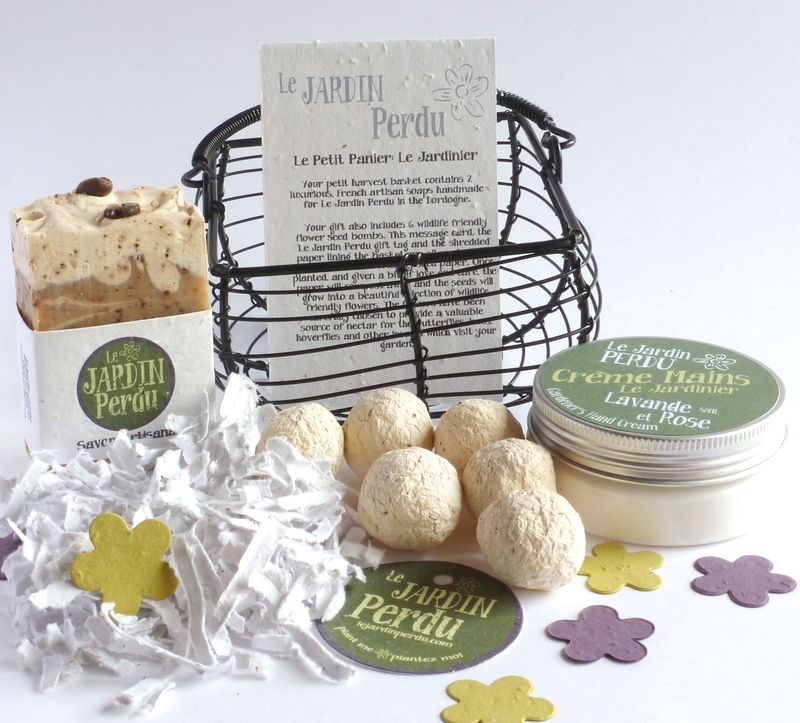 Le Jardin Perdu – Gifts for Gardeners & Wildlife Lovers! Over the years I have gone on to expand the blog to include information on the wildflowers and wildlife I discover here in France. Back home in Manchester I rarely saw anything, here in France never a day goes by without coming across a beautiful wildflower or a strange-looking insect! I always wanted to expand the blog into something new and today I am excited to announce that I have opened my online boutique. The boutique is aimed at gifts for gardeners and wildlife lovers, with very much ‘l’après-jardinage’ in mind. 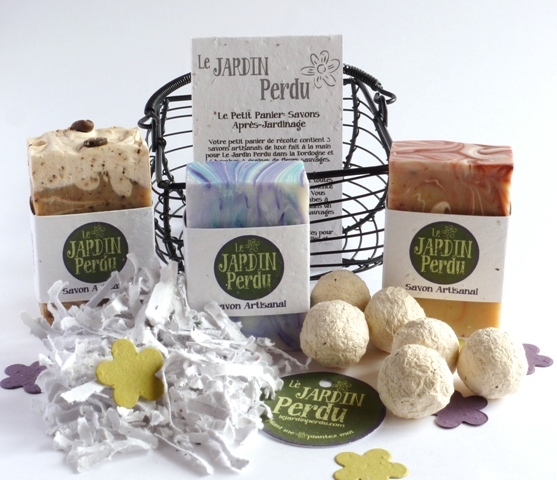 To this end you will find gifts of natural, artisan soaps, bath salts and soy candles all of which have been especially handmade here in France for Le Jardin Perdu. I not only wanted gifts to help gardeners relax after their hard days work in the garden but also which would somehow benefit our wildlife. 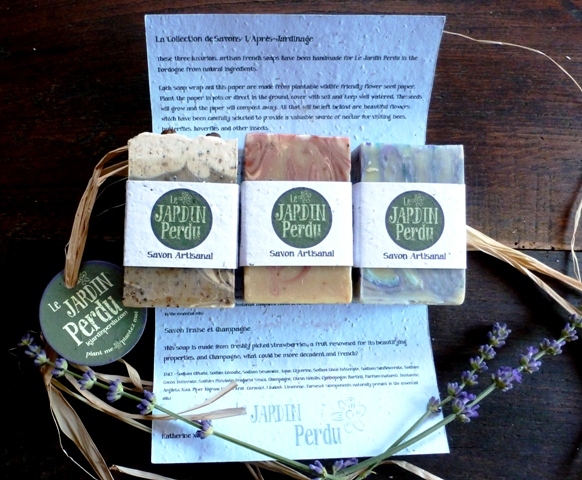 After searching high and low I found a company who were able to make my unique Le Jardin Perdu packaging. 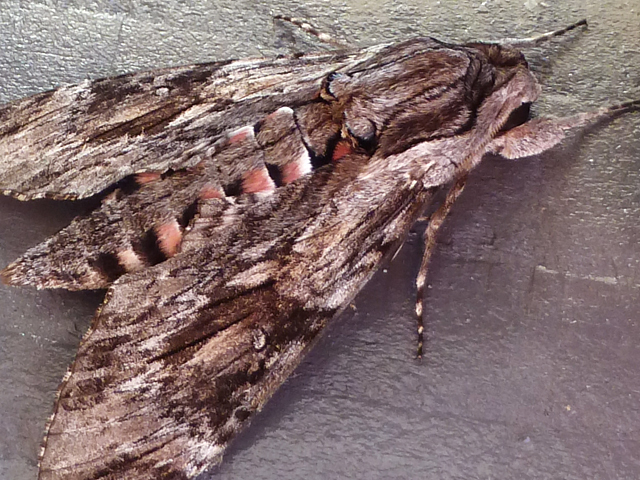 It’s unique as it is made from plantable wildlife friendly flower seed paper. The Le Jardin Perdu plantable flower seed paper packaging is made from post consumer waste which has been embedded with non-GMO flower seeds. The paper can be planted and when cared for in the right way will grow into flowers and the paper will entirely compost away. 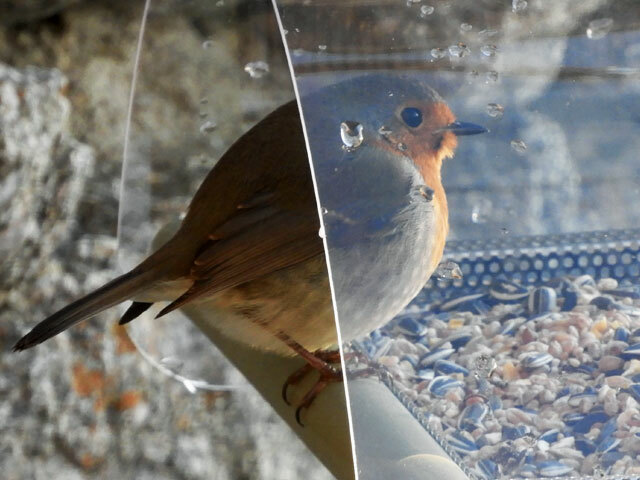 The flower seeds have been carefully chosen to provide a valuable source of nectar for visiting bees, butterflies, hoverflies and other insects. 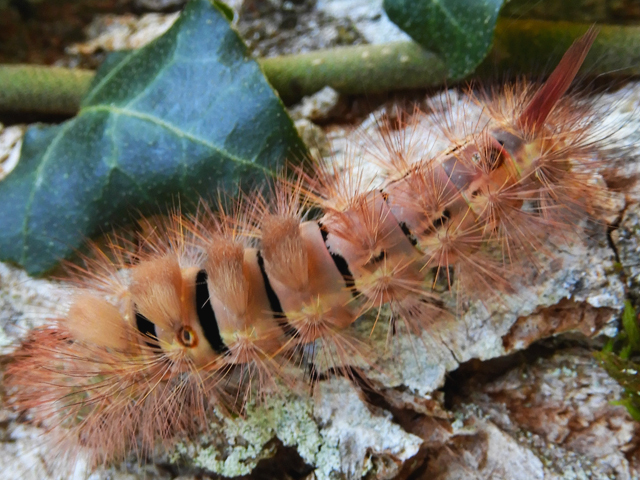 I can not think of a better gift for any garden or wildlife enthusiast, a gift which is for them but also for our wildlife. I am already working on expanding the range and will soon be adding more products for l’apès-jardinage, along with a gorgeous range of garden hand tools, handcrafted here in France. In addition to the gift baskets, I also have a range of plantable wildlife friendly flower seed greetings cards, a beautiful way to send a special birthday, wedding or anniversary message. The recipient receives your lovely words and can then plant the card and watch it grow into a bouquet of flowers; a beautiful reminder of their special occasion. My gifts can be gift wrapped, your special message included and sent direct to the lucky recipient. 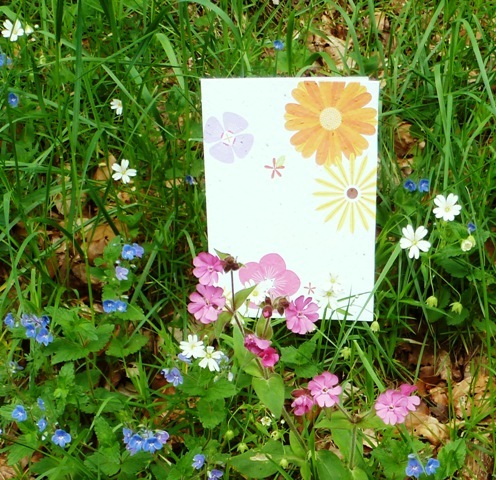 Likewise I can include your message inside my plantable wildflower seed paper cards and post them direct for you. The gifts and cards can be delivered worldwide. 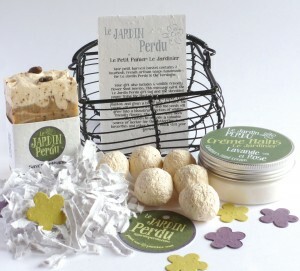 I hope that you will love the gift baskets and cards, and I welcome any feed back on this new addition to Le Jardin Perdu. Good luck Katherine. You deserve great success and I’m sure this new venture will bring it.